The first correct answer will get a free ticket for the training. The application can be run on an emulator or a real device (whatever the architecture) but the Android version must be at least Marshmallow (> 6.0). 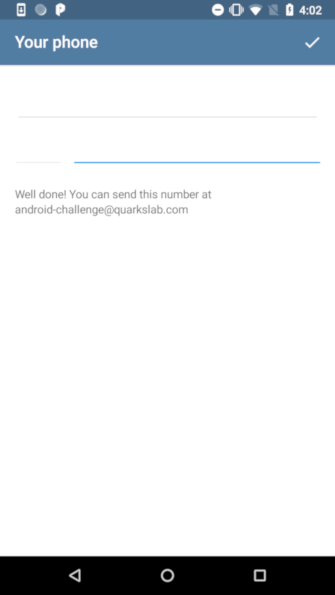 If you encounter issues or if you have questions you can send an email to android-challenge@quarkslab.com. It will take place in Paris on the week beginning January, 21st.